It seems I start every post with the same thing, an excuse for not posting anything earlier. I have been writing some things: my SM sprint thoughts will be on the Project 2015 website, and my JK thoughts will be in SLOWprint (and I will copy them onto here once they have been published). Finally, after hours of slogging though snow covered forests in the dark Tiomila was here. I ran the 9th leg for SNO and ran quite okay. My speed was good enough and I just made one two-minute mistake which, as people were quick to point out, was shown on the big screen. Fantastic! I am cross with myself for the mistake as I knew exactly where I was about 10 seconds before I started to get confused, one loss of concentration and what could potentially have been a really great run turns into a fairly decent run. Still it was both a great experience and a lot of fun but the quest for improvement goes ever onwards and this is why I like orienteering. We had some problems with injuries and sickness to runners in the build up but our goal remained the same, less than one minute of time loss per leg, a tough goal but an achievable goal. We knew that if we could achieve this we could look up at the results and be proud of what we saw. In the end we did not all hit our target but nobody was ever far away and we finished in 4th place. We were all really pleased. Pleased with what we had achieved and also pleased that we had proved people wrong who thought that without some runners we could not be competitive. It just goes to show that it is not the 10 guys who get the result but the whole team; the coaches who have stood in the forest, the guys who have not made the final 10 but have been at the training pushing everybody else along, and the supporters on the night itself: taking clothes, providing food, offering advice and encouragement. January was the first month that I had spent totally in Britain since May. It is also probably the longest continuous time I have spent living with my parents since the end of first year (2010). We are still on speaking terms so I would judge this time to be a success. On a more serious note I think I have trained okay whilst I have been back, making some small progress each day but nothing special. Rome was not built in a day and it is a long time till the summer so all in all I am feeling pretty positive about the season ahead. I have shaken off a slight achilles niggle that I picked up in December so when I return to Sweden (Feb 27th) I should be ready for the big training run up towards the JK (British WOC first round selection races, and TioMila). I was out in Portugal for 10 days on a training camp taking in the four days of POM and two days of MOC (not the Mediterranean Champs). I spent the first part with friends from Sheffield and then the second part with the British Elite Development Squad. This was my first "tour" away with the squad since 2010 and I really enjoyed it. It felt both really professional and also relaxed at the same time. We did some really cool training exercises along with some more traditional ones which will give me a good technical base going into my Swedish training. I have also picked up some World Ranking points (as well as hopefully some more Swedish Ranking points) which should help me out later in the year. A big thanks to all the coaches for sorting it out. I was quite happy with both my orienteering and my fitness. I was managing to catch myself before I made big mistakes, so I was only losing say 30 seconds instead of a minute. I was also finding time to look more ahead to get better pictures of the terrain and also the control site. I also spent a lot of time in the training exercises specifically focussing on my compass accuracy which I have been quite lax about in previous seasons but which I now understand it often quite a big factor in me losing time. Photos from John Rocke. Maps will go up onto my DOMA. The Project has been making progress since the last update. Myself and Cat Taylor have written another article for Compass Sport on what the Project has been getting up to. We took a lot of footage of our Portugal training exploits and should be able to produce a video showing life on a training camp. We interviewed several foreign runners about themselves and a bit of British culture (video coming). We are midway through creating a logo. AND people are motivated. 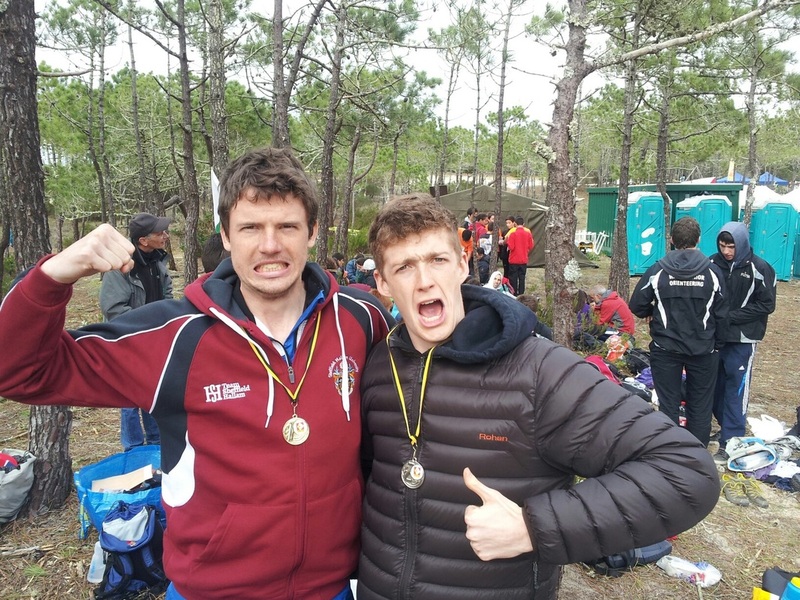 I am now up to almost 6 months of living in Sweden and with the club's end of year party having been held last weekend it makes sense to write a bit of an update on my autumn winter races and training. I ran 25manna and Smålandskavlen for the club this autumn, both in the second teams. Both races were really good experience for me and went quite well apart from missing towards the end of both courses. I also really enjoyed the formats of the races as well, I think if they could be introduced in Britain. 25manna could be a viable alternative to the "British Club Championships/Compass Sport Cup". Relays really build club spirit in an individual sport and so creating more of them in Britain would be a good idea - especially now that another relay format has been introduced at World Champs. My training has been going well and I think my body is adjusting well to training more, it now almost feels strange for me not to run before breakfast or at least train twice a day. The tricky thing will of course be maintain a good solid level through the winter as the darkness, snow and other things close in. This brings me onto motivation and Project 2015. "Project 2015 is an athlete led initiative working with the wider orienteering community with the aim of achieving the best British results possible at WOC 2015 and beyond... Project 2015 starts here, 3 years to go before the home WOC. How do we make the most of the home advantage and up our game? What do we need to do between now and then to make sure that we are ready to bring home the bacon?" I hope that I am completely fixed now, I expect there will be some imbalance issues as I continue to increase by training but I will be careful and keep an eye on them. I have moved out to Sweden to "chase the dream" so to speak. I am living in my first orienteers only house which I think will be a good thing for me, I have always preferred to train with other people where possible. I have mixed feelings about the Swedish winter (not being a fan of either the cold or the dark and mixed being a polite way of saying that it is going to be brutal). Still it is exciting. I have some decisions to make on my training plans and the goals for next season. I see night orienteering as a great way to improve my skills and also as the easiest way of breaking into the SNO first team at TioMila, so I think there will be plenty of that this winter. This weekend coming is 25manna. I expect to be running in the 2nd team but am really looking forward to getting some more big relay experience. After that there is Smålandskavlen which will also be good experience. Plenty of things going on to keep me occupied for the moment. Well, as was pointed out by a certain Swiss orienteer lots of people have been getting new PB's and Sheffield is no exception: Kanye, Danger, Komodo, Cuddles - all running sub 16.15 in the 5km Parkrun (it's a British thing). I would love to think that I could have joined them. 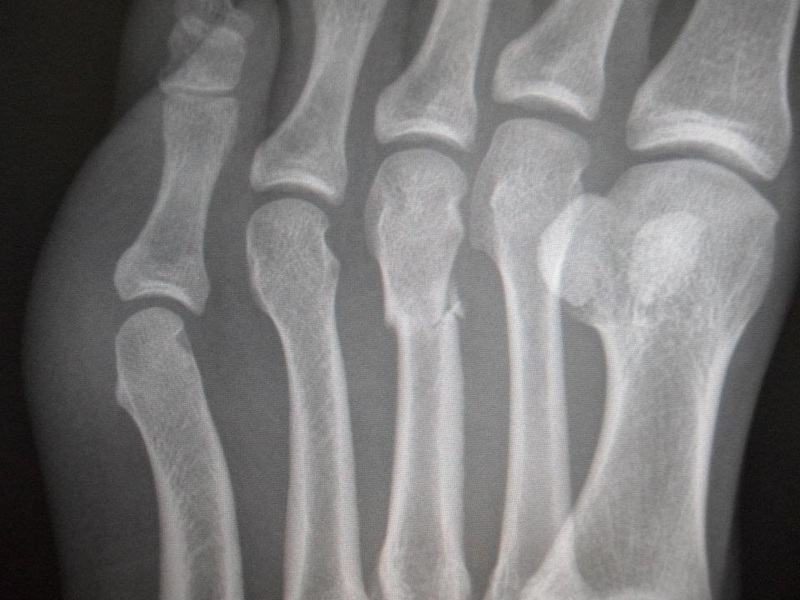 Unfortunately I broke my foot on March 9th - which is one reason why you haven't see a write up of either the British Sprints and Middles or the University Championships. So, I am injured. This has of course allowed me to focus on the spectating element of the orienteering season; I got on the commentary team for the British Sprints and Middles. This was a lot of fun, even though my prediction skills are not really perfected. The Sheffield boys were largely disappointed by their sprint performances but Kris pulled out a great run for 2nd place in the middles. In the University Championships I was their in an organisational capacity, a very rare role indeed. Sheffield placed 2nd in the overall competition with some great runs by Anwen and Laura in the individual race. In the relay we ended up in 3rd in the Men's (upgraded to 2nd in some controversy (nopesport it)) and the Women's 4th. Both teams were disappointed, especially the girls. This lack of running has allowed me to get on with my Independent Specialised Study (Dissertation) of 7500 words on Health Inequality in Britain. I am actually getting interested in some parts of it which is very nice. Hopefully though it will all go away soon and I get back on with the running. Last weekend was the English National XC Championships which meant a trip down to a very sunny Parliament Hill in North London. I had actually been to Parliament Hill twice before, however this was for orienteering, but I had heard that the course would be a good one and reasonably hilly. "Perfect!" - I thought. The course narrowed sharply on the first climb so I knew that it would be important to be up towards the front so that I wouldn't be too boxed in. I also knew that starting fast would help me have a good race as I would make sure I was running with fast runners. As we set off I the starting gun fired repeatedly as if to signal a false start. I think the starter underestimated the difficulty of trying to stop 1600 runners and so just kept on shooting and yelling "Keep going" into his megaphone. This of course caused some confusion for everybody and I found myself at the front with the feeling that there was nobody close behind me. So I took the opportunity to lead the field up the first hill - not quite realising how far in front I was. This was at the bottom of the hill - the distance was about 20m at the top as shown by the next photo. If only I could have held onto that place. Unfortunately, it took me about 8km to recover from this interval and so I didn't do as well as I possibly could have. All a good learning experience though. After the warmest Christmas I can remember winter has finally come to Britain. It is not at the same level (yet) as last year so no epic runs from Sheffield but we have still been able to have some fun. 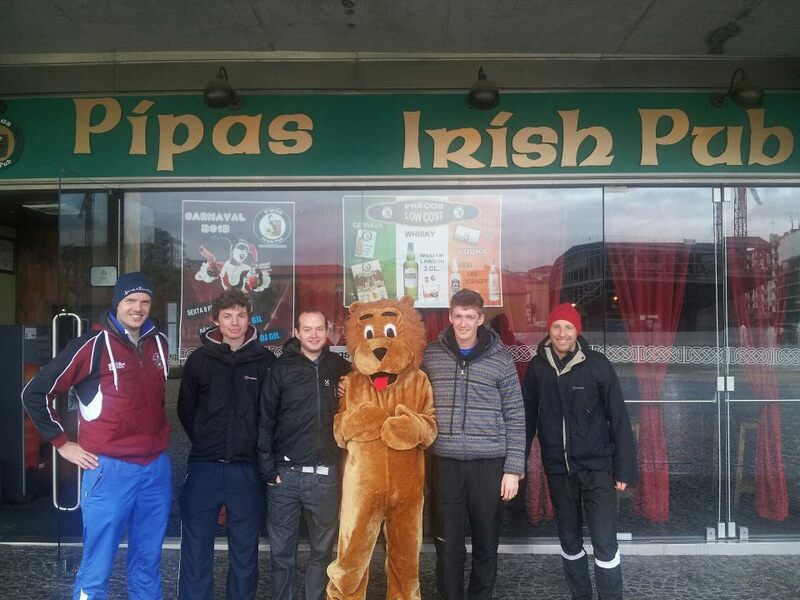 In the middle of January the club on behalf of BUOT organised the End of Winter Weekend. This aimed to bring student orienteers from across Britain together for a weekend of good training and plenty of fun. It well and truly lived up to the expectations with the highlight being a brilliant 2 hour epic run on Kinder Scout. 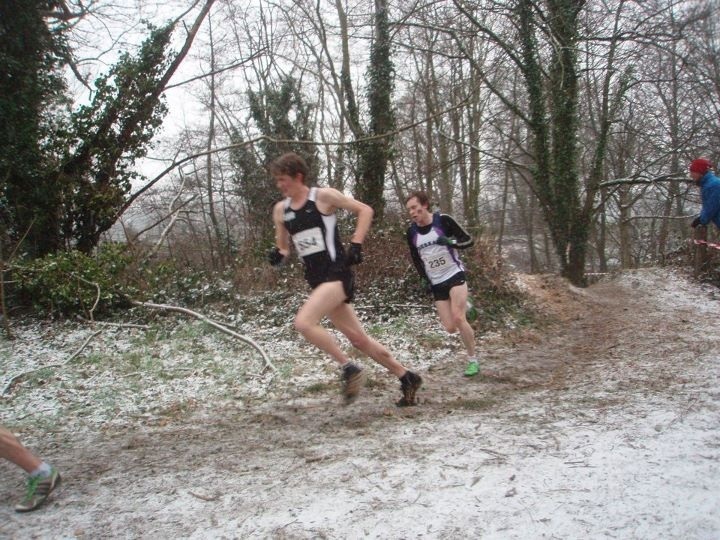 Next on the plan was the British University Cross Country Championships held in Cardiff. The word on the coach down was the Cardiff does not get much snow normally because of its coastal location - the word was wrong. The advance members of the athletics club found the course to be frozen solid so I fell into the classic cross country issue of worrying about what spikes I would need. Eventually I settled on 9mm, which in my typical organised fashion, I got somebody else to sort out so I had time to warm up. I finished in 22nd place, covering the 10km in 31.42, which I am really pleased with. I am running well at the moment so I would like to build on this over the next couple of months in preparation for the domestic season. 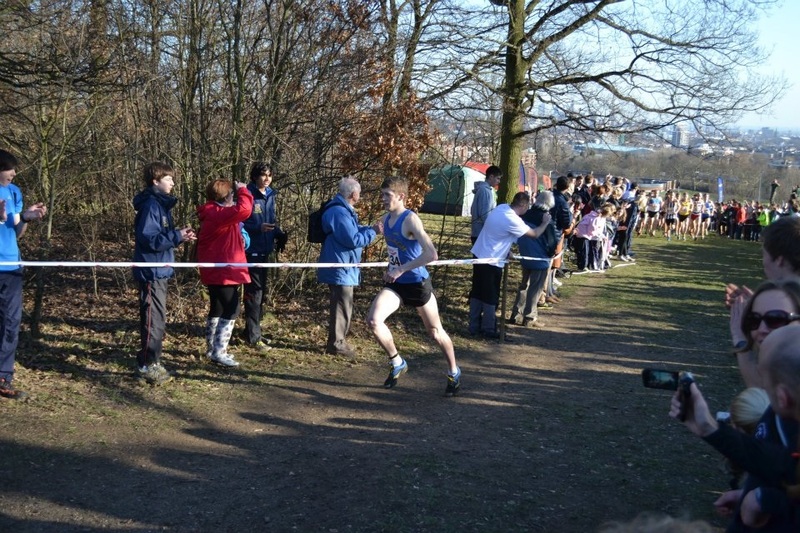 I am also looking forward to the English National Cross Country Championships and testing my running again. You can read more about the race on my Attackpoint. You can read the university's report on the race on Forge Press. So as the year draws to a close the tradition of Christmas parties carries on. With Sheffield University this is no exception. The tradition at the clubs Christmas Meal is for an "old-boy" to come back and give a speech - this year we had the legendary Tim Tett. This is the non-traditional introductory video. I think the original version covering the competition is one of the best videos about orienteering ever made. It explains clearly what orienteering is, and then shows some action of people competing. WOC broadcasters could learn a lot. _ So there really hasn't been much going on this year. I was injured for the first time in a serious while so got 6 weeks off – almost got bored to death without being able to run. However, this has all cleared up now so I am back in the game with my base training. It is not quite full volume yet, that should come in December time, but getting up to 75-80km each week is plenty at the moment. For competitions there has not been very much, what with missing out on both the Senior Home Internationals and the Compass Sport Cup. I did go down to Oxford for the chasing sprint – which was a lot of fun, and I ran with John Rocke in the ShUOC vs SPOOK relays which we won. _The main difference for me this year has been the amount of university work that I have had to do so far. It is my final year so everything is harder, and I am cramming more modules into this winter semester so I have more free time to go away for training in the spring. This has proved a bit of an organisational challenge but I think I have got through it fine. 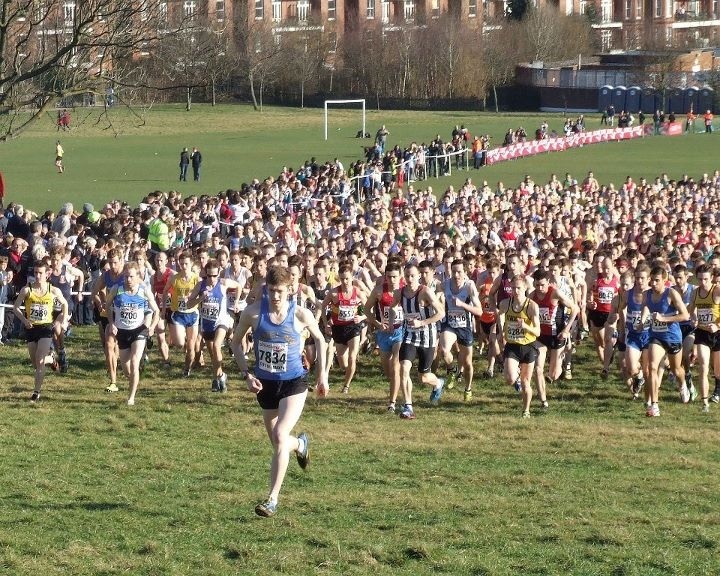 Over the next few weeks I have some cross country competitions to run in order to prove my fitness to run in the Sheffield University team at the University Championships. A weekend that should be very exciting. All in all very motivated and can't wait for the season to get going again. 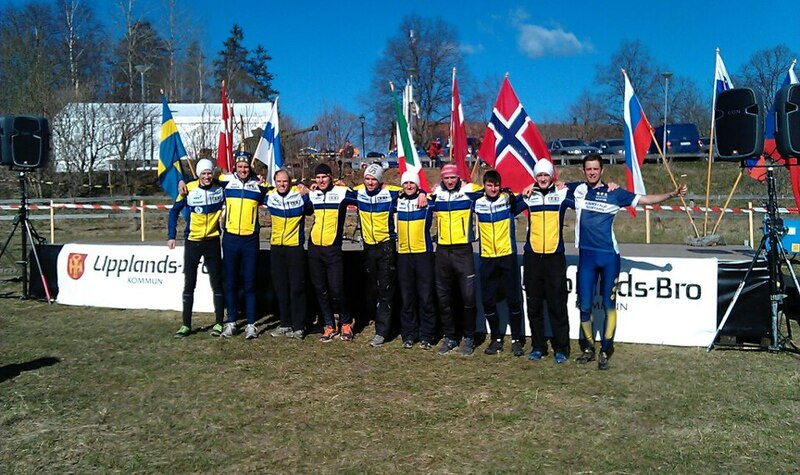 This year I have joined a Swedish Orienteering Club, Sodertaljte-Nykvarn Orienteering. They very nicely offered me a chance to spend the summer in Sweden, it did not take me very long to accept. I went out to just before Jukola to do a little bit of training. I felt I prepared well and did a decent performance on leg 6 for the 2nd team. I was running well for most of the course but as usual this season I made 1 large mistake that cost me a really good time. As well as running Jukola I ran for GB in the Nordic Orienteering Tour. This was a massive reality check on just how good the top guys in the world are, I'm not too far off when a leg goes really well but then that doesn't happen much at the moment. Still I left the competition feeling motivated for the future. The next competition I ran was O-Ringen. I knew it would be tough for me to get a good results in the forest stages so I hoped instead for good performances. I felt I ran ok but was let down slightly by both my physical fitness and my speed across the rocky terrain. The sprint race however was a different story and I finished 5th – winning my first bit of prize money. My final competition was the SM championships in middle and relay. I was really excited about it and knew that if I could hold myself together that I had a chance of qualifying. Unfortunately my mind got the best of me and I began to think about other things and not the next control. Still it was a good experience to get into this pressure situation. Now I recognise this as a weakness I can work on it over the winter. Whilst I was in Sweden I worked for Scania helping to organise the Griffin Trophy. 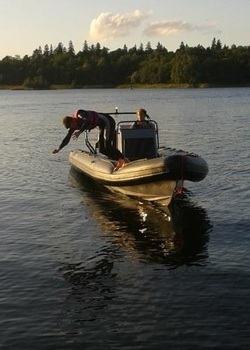 This is a multi-sport and multi-day team building event for the employees of Scania. I helped to plan and organise the stages of the competition and then to assist in the organising of the marshals when the competition was in progress. I really enjoyed working for Scania and it was a wonderful experience of the world of work. My current plan is to go back out to Sweden on a permanent basis once I graduate so it was good to get a taste of what life would be like and check I enjoyed it. I most definitely did. Lifelong orienteer. Enthusiastic since 2004. Grew up in and running for South London, now living in Sweden and competing for Södertälje-Nykvarn OF.